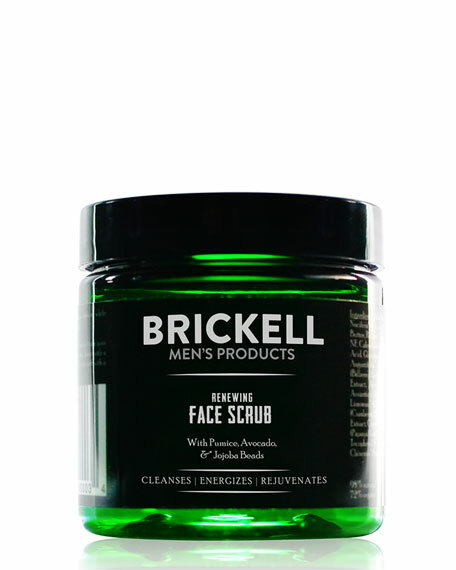 Brickell's Renewing Face Scrub gently scrubs away dead skin build up and facial impurities to restore a bright complexion. 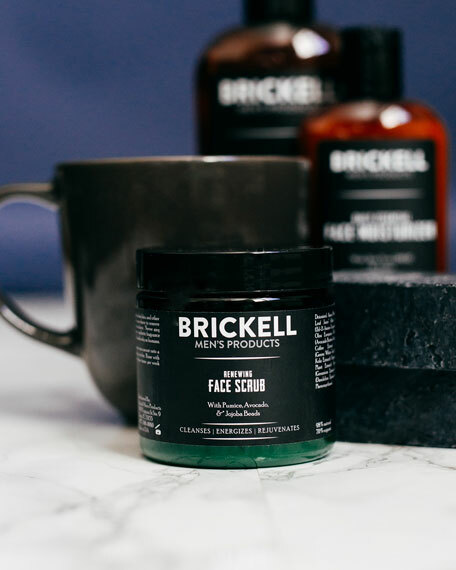 Use prior to shaving to remove dead skin and loosen whiskers for a remarkably close shave. Nourishing natural moisturizers hydrate the skin, leaving it soft and renewed. Jojoba Beads & Pumice effectively remove dead skin cells, dirt, and other impurities from your skin. Aloe Vera, Avocado Butter & Vitamin E nourish the skin for a refreshed, moisturized feel, while a Coffee Extract & Green Tea scent invigorates your skin and senses.